Testing Games. 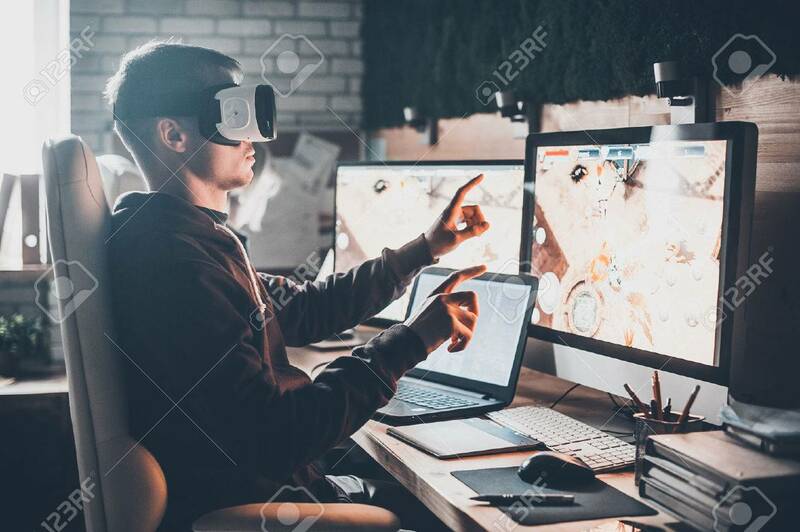 Young Man Wearing Virtual Reality Headset And.. Stock Photo, Picture And Royalty Free Image. Image 67275021.